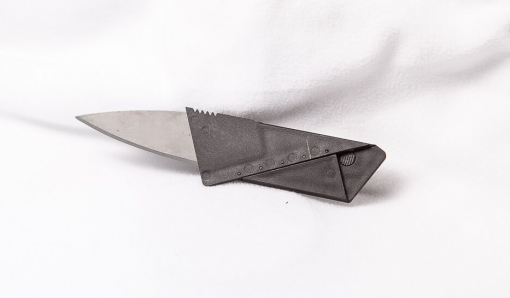 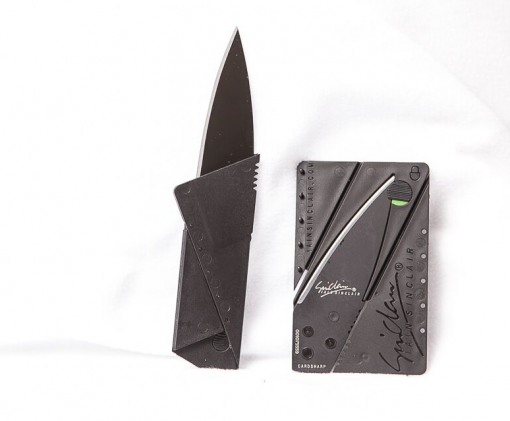 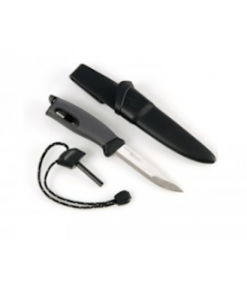 This is the folding credit card knife shown in the Spy, Escape & Evasion course. 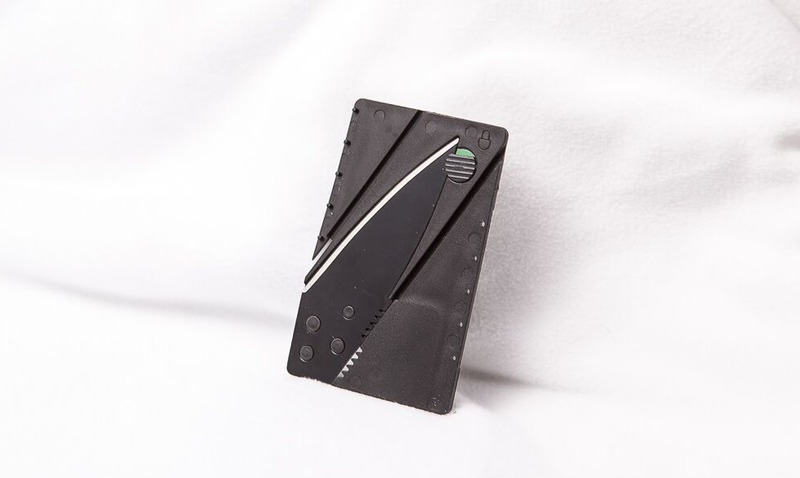 This is the exact credit card knife that I carry on a daily basis. 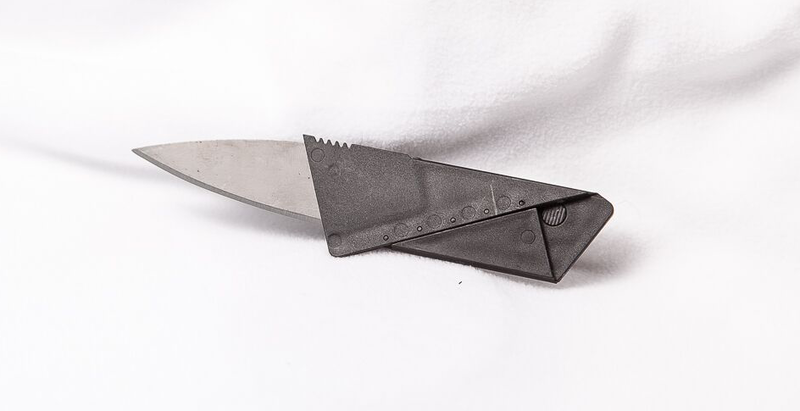 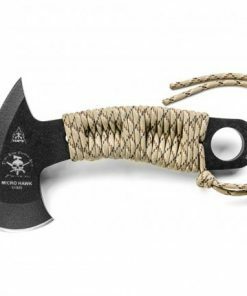 It easily fits inside a wallet and is razor sharp.